If you are a restaurant or hotel owner and are looking for a high grade Exhaust Canopy in Brisbane, A1 Custom Stainless & Kitchens is the company to come to. We have been in this business for over 12 years and in this time have catered to scores of customers across Queensland. We have the experience, expertise as well as the resources to provide solutions that meet your requirements to perfection. Customers know that with us handling the job, they will get personalised attention and customised solutions for the best exhaust canopies. While we focus on providing high grade solutions, the priority also is to provide these at very cost-effective price points. We cater to customers who have very simple requirements such as basic style canopies as well the more complex requirements like the ones that have specialised vents for air-flow. So why exactly do you need an Exhaust Canopy in Brisbane in your commercial kitchen? What purpose does it serve? This ensures cleaner air in the commercial kitchen. It means there will be less fumes and food smells. In many ways, this also reduces the amount of food smells that may escape from the kitchen into the seating area of your restaurant. Since the grease also gets expelled along with the fumes, it helps you maintain the kitchen in a much better way. If your kitchen sees heavy use, you know exactly how troublesome it can be to get rid of the greasy film that covers the countertops and cabinets near the cooking area. The clean air also helps keep bacteria and mould at bay. This can prevent the incidence of breathing problems and allergies. Improvement in your establishment’s government ratings after inspections. Better compliance with the fire & other local departments. When you have a range hood, it filters out all the airborne grease very effectively. Why spend hours scrubbing all these surfaces when you can just get rid of all of it by hitting the exhaust hood button? Our Commercial Exhaust Canopy in the Sunshine Coast will quickly and efficiently help clean and clear the air in your kitchen. Every professional cook knows exactly how uncomfortable it can be to cook without an Exhaust Canopy in the Gold Coast. The odours, heat and steam get blown right into your face and it can be frustrating to cook in such conditions. 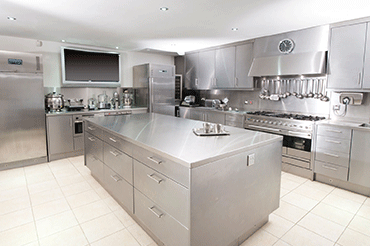 Why compromise on the cleanliness of your kitchen and comfort for your kitchen staff? Regardless of which way you look at it, adding Exhaust Canopies to your kitchen has a range of benefits. While you are getting these installed, it’s important that you get this product from a company that will be able to understand your specific requirements, work closely with you and provide solutions that add to the functionality and aesthetics of the place; and this is exactly what we help with. With the vast experience we have in this industry, we are able to provide you the best Commercial Exhaust Canopy in Brisbane. When you call us, our experts will visit your location, make note of all the little details like the available space, the type of canopy you need, the material texture and finishing etc. We are the experts who go out of our way to provide solutions that are right in line with your business needs. The installation work will also be carried out in the most unobtrusive manner and with the least amount of disturbance to the daily activities in your establishment. If you have a requirement for a high quality Kitchen Exhaust Canopy in the Gold Coast, call A1 Custom Stainless & Kitchens on (07) 3888 7534. You can also contact us via this online form.